I was just thinking of what to do with the Russet potatoes which I had just bought… Potato Salad? Wedges? Or just simply mashed? Mashed Potatoes are great, and I will choose it over French Fries!! I really wanted to take this dish to the next level in terms of flavour and colours. I am so happy to share it with you as it is indeed an incredibly irresistible dish. 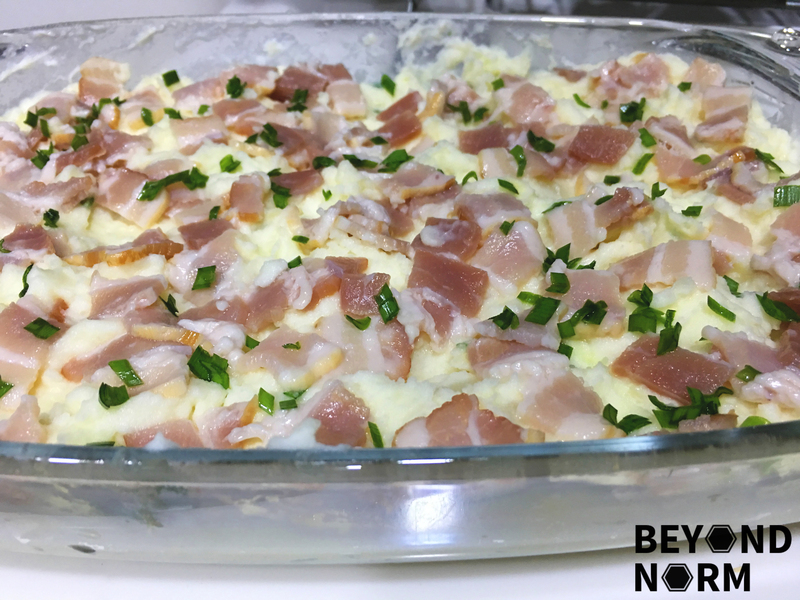 It is not just fluffy and light but by adding in the foursome; sour cream, bacon, cheese and chives, it has given it more flavour and a creamy and rich texture. This dish is so simple and easy, and the best part is you can prepare it a day ahead and bake it on the day that you want to serve it! WARNING!! If you are watching your weight, this is not for you! Hmm… or maybe you should stop counting your calories. 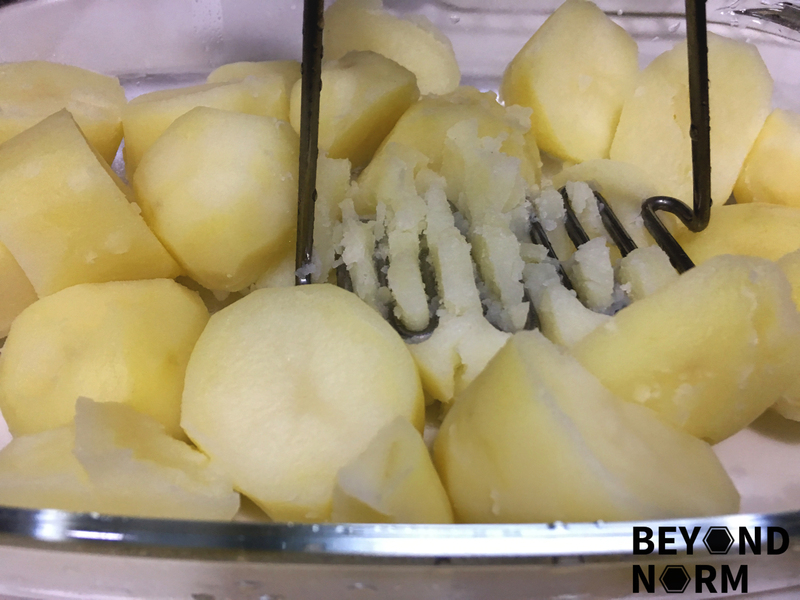 Peel the potatoes and cut it into 3 pieces. 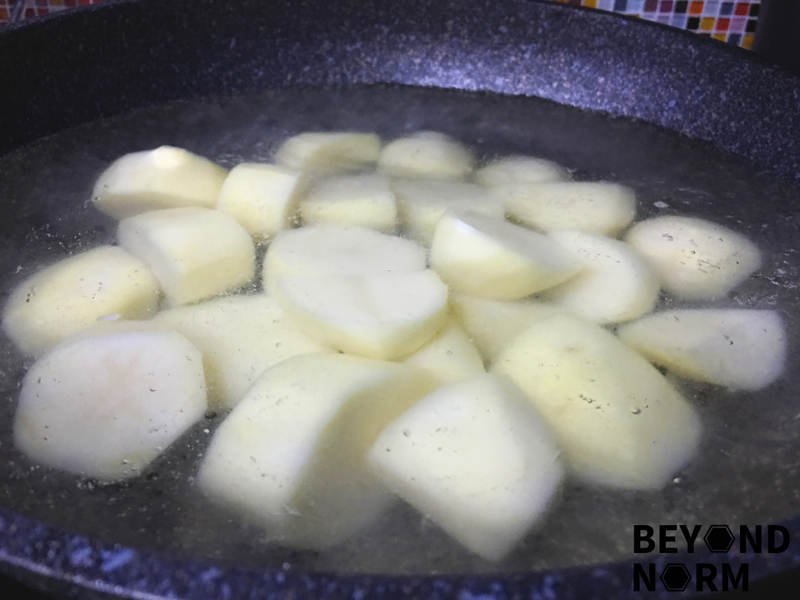 Bring a pot of water to boil and add in the cut potatoes. Make sure the water covers the potatoes. Reduce the heat to medium and simmer until very tender, about 15 minutes. Transfer into a bowl and mash the potatoes. 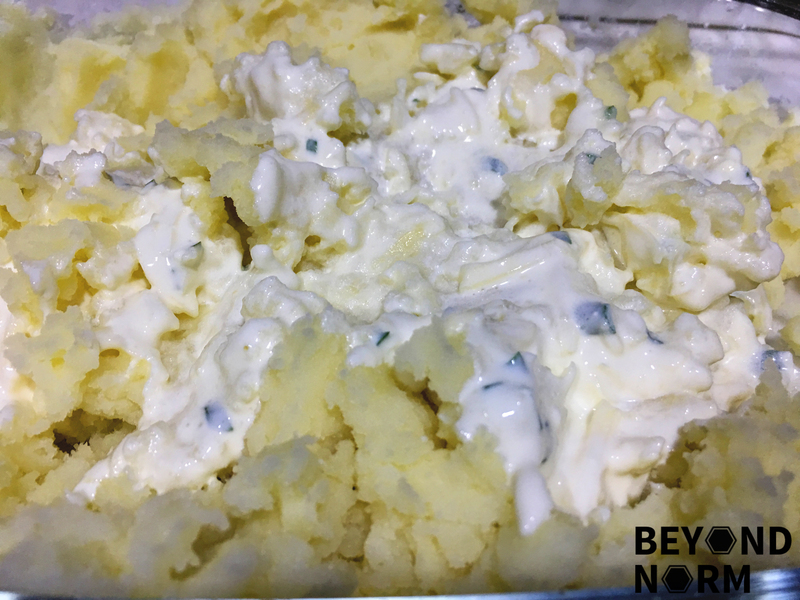 Add the butter, salt and pepper onto the mashed potatoes. Mix well. Add in the sour cream, milk, cheese and chives. Mix well. Transfer the mash into a baking tray. Top it with the bacon. Bake in the oven for about 30 minutes or till the bacon is cooked and top is golden brown. Garnish with more chives if you like and serve immediately. Thank you for sharing your wonderful, recipes, Josephine! I’m Hakka and about to try your Pork Belly with Taro later this week – it looks sooooo yummy!!! Will definitely let U know how it turns out. Keep up the fantastic work & pls. feel free to add me to your mailing list of your fantastic recipes!